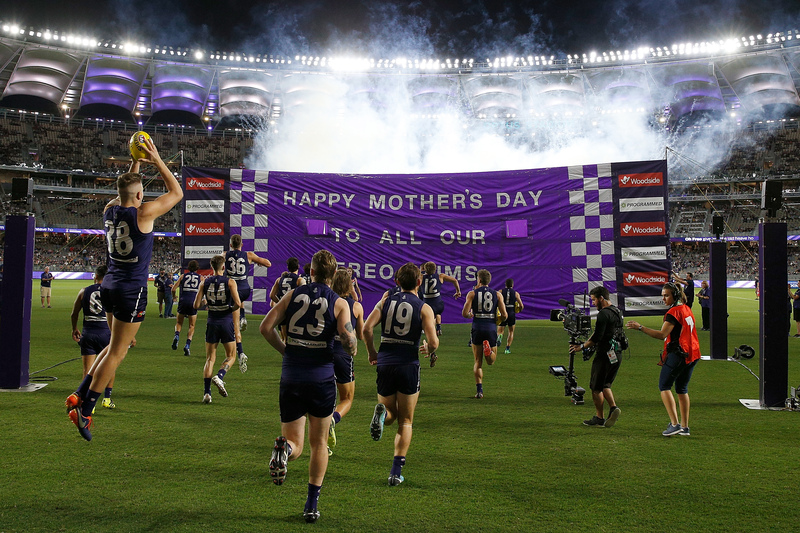 Heading into a brand new $1.5b stadium in Perth the Fremantle Dockers were focused on delivering the best possible game day experience for their fans and maximised the stadium’s world-class technology. KOJO was engaged to work with the Dockers on the creative direction, sports presentation and game day production of their matchday experiences. Using our FanX model, KOJO reviewed the end to end fan experience, developing an overall season theme built on the Forever Freo brand positioning. We then worked with the Dockers to identify how this would be brought to life across each home game and their key feature games. The ANZAC round Len Hall game was a feature event on the Dockers fixture. KOJO worked closely with the Dockers to create a moving live performance on ground complemented with content, lighting and sound. This mix was used across the season and enabled KOJO to create one of the AFL’s best live fan experiences for 2018. Optus Stadium has been voted as the number 1 stadium in the country, and the Fremantle game day one of the top 3 in the league.